Stride through your day knowing your keys are kept in a neat and versatile stack. The nylon Key Organiser holds between 2-7 keys in a sleek and subtle profile, designed to stay strong for those always on the move. Every Key Organiser in Nylon includes a premium D-ring attachment, useful for attaching your larger keys and car fobs. For the professional who admires a slim and clever design - this is for you. The nylon range is a versatile partner for those on the move. 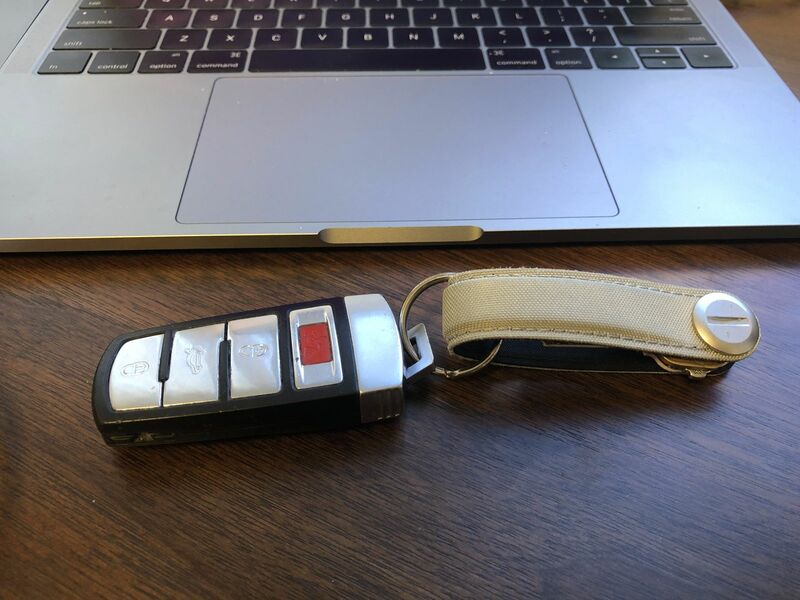 A water-resistant and durable fabric securely holds your keys in a silent stack - no more clanking keys giving you (and everyone else a headache). I love the color and feel of this one. So much better than the older ones. Keep up the great work. Keeps my keys nice and tidy. Looks really great, Chris! Lovely! Very pleased the Orbitkey. Works too well if you ask me. Still patting my pocket to make sure keys and car fob are in there. Opted for the nylon over the leather, it seems very durable. Choice of colours is limited in the nylon range, but I'm pretty happy with mine in dark blue. It's a really well thought out design, especially including the D-ring for your car keys or anything that won't otherwise fit. Only criticism? Sometimes I need to keep tightening the locking mechanism periodically as the keys get a bit "loose."